When you’re traveling, a comfortable and stylish pair of pants is essential. 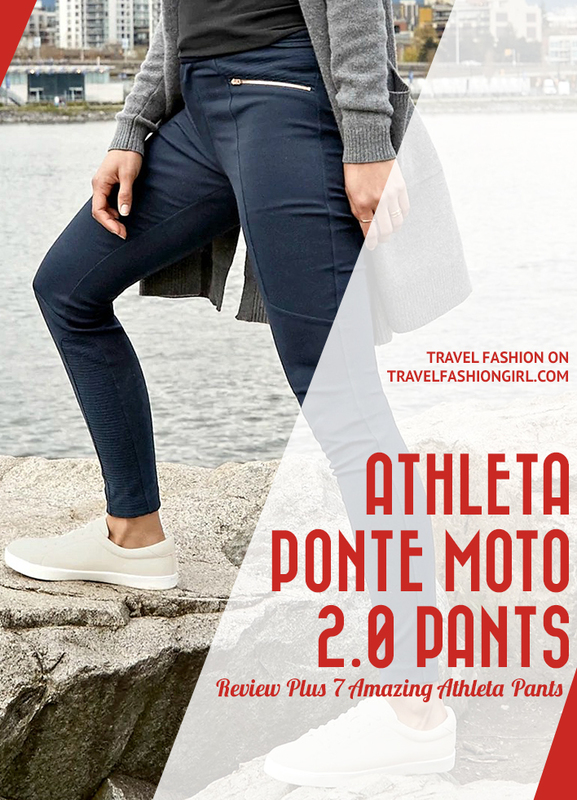 Find out why the Athleta Ponte Moto 2.0 pants are the best pair of pants for travel, plus other Athleta pants recommendations! We and our readers love Athleta. And not just love, but LOVE. They make some of the best clothing for travel, from dresses to basic tees to pants. Here, we’re focusing on their best pants for travel, starting with the most well-loved pair among our readers: the Ponte Moto 2.0 pants. 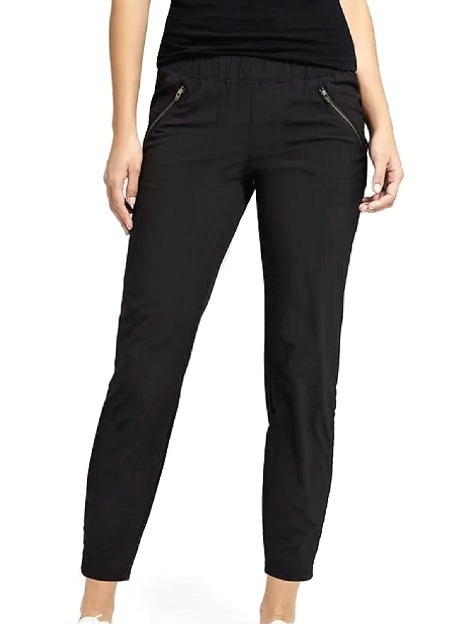 The Athleta Ponte Moto 2.0 pant is the “getaway essential” for its sleek, sophisticated looks, 4-way stretch and ability to unpack ready to go. It’s a fitted style that fits like a legging with a mid rise and skinny leg. The Ponte Flex fabric offers four-way stretch with a structured fit. They’re easy to move around in while still looking sleek. One of the best things about these pants is the durability. The fabric is wrinkle-resistant, so it stays smooth in your bag, and is easy to care for and wash, making it a great pant for traveling with as you can hand wash it or toss it in a washing machine. 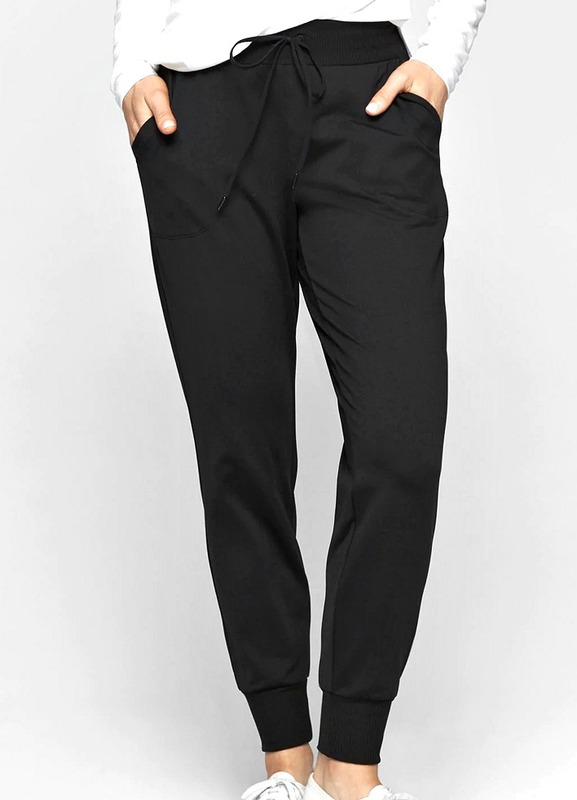 We love that these pants look dressy enough to wear to work while being comfy enough for travel. One reader says “they are perfect for work, travel, anything!” It’s important to note that these aren’t as thin as leggings, as they’re more a mid-weight fabric. 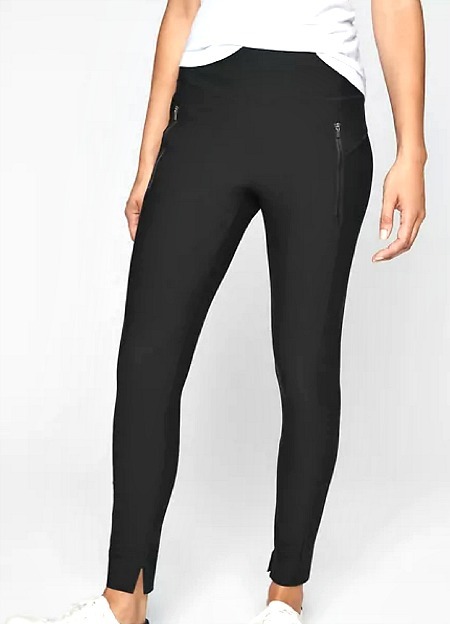 The Ponte Moto 2.0 aren’t the only Athleta pants our readers love. This is the ultimate hike tight that proves cold-weather warmth and full mobility are not mutually exclusive. These tights feature cozy, abrasion-resistant Trek Tech panels in front and stretch Pilayo® in back. And what other tight legging has pockets!? These are great cargo pants for trail to town explorations. The durable Trek Tech™ fabric is cozy on the inside with stretch Pilayo® for mobility on the backside, and plenty of pockets for stashing essentials. These are the Featherweight Stretch™ pants that goes from studio to street thanks to a sporty chic tapered leg that scrunches up for more breathing room. These pants even offer a custom fit. The NeverEnd drawstrings at the ankle let you scrunch and tie the leg for a custom look and length/. 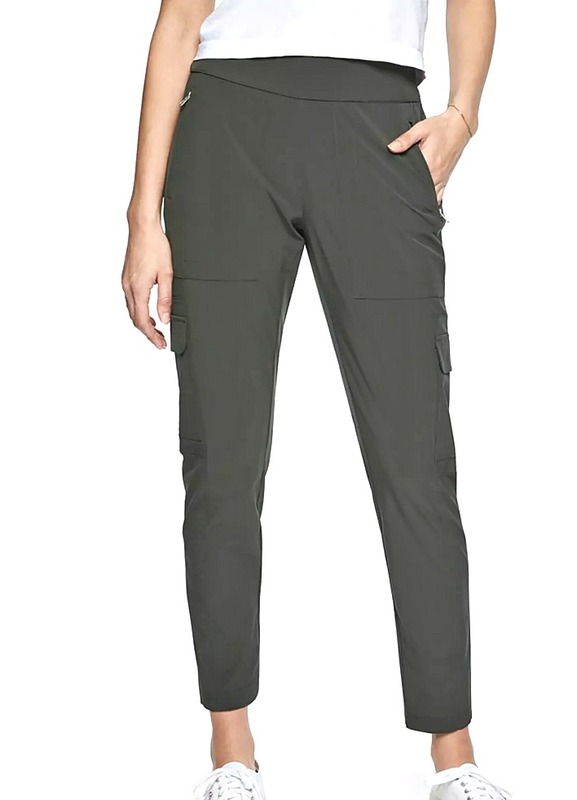 These are the adventure lover’s ultimate pant made from Athleta’s amazing performance Featherweight Stretch™ fabric. These cargos feature a tapered leg that hits at the ankle, and pockets for all of your essentials. We love the Flux Jogger 2.0 thanks to its technical fabric that wicks, breathes, and keeps you comfy wherever the day takes you. It’s semi-fitted, so it’s slimming and stylish without being too tight. The Stellar Tight is made from a luxurious Italian fabric that is designed for performance at work, blending superior mobility with a fit and feel that are smooth, structured, and flattering. They even have UPF 50+, keeping your legs protected from UV rays. The zip pockets are great for hiking or walking around town, as you can store your wallet and phone. These are the ultimate travel companion for every adventure with wrinkle-resistant, recycled Featherweight Stretch™ fabric that gives you built-in breathable sun protection (it’s UPF 50+) and great pockets for stashing necessities on the go. Four pockets and an elastic waistband are the cherries on top! 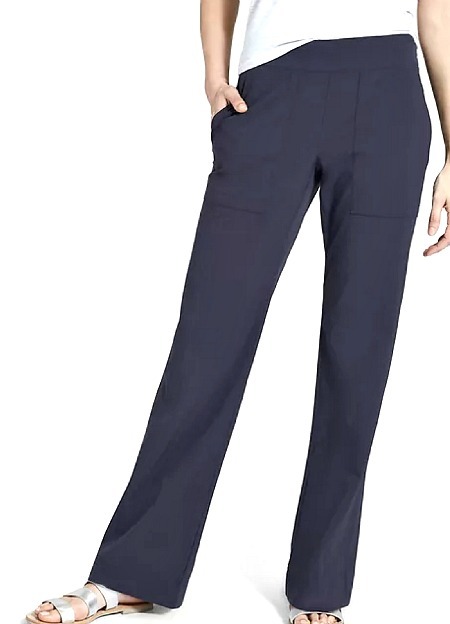 What are your thoughts on Athleta Ponte Moto pants and their other styles? Share in the comments! I hope you liked this post on Athleta Ponte Moto 2.0 review. Please share with your friends on Facebook, Twitter, and Pinterest. Thanks for reading! I take it you wouldn’t recommend these for South East Asia? Also how do you find them for handwashing and drying? Do they dry quickly? 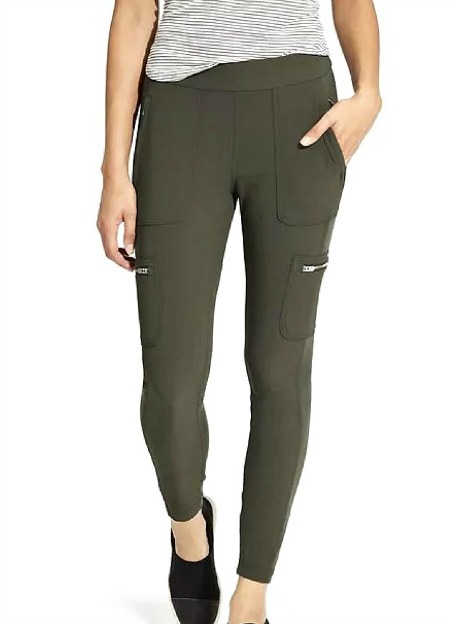 I don’t think they’re making the moto pant–I’ve checked every time this post comes up and they’re either clearance with low inventory or not even on the website. Too bad because they’re super cute! You might want to revise this post. Hi Stephanie, that is so unfortunate 🙁 !hank you for making me aware of this, I will definitely look at changing the post.